A heavenly pair – bacon and eggs with hints of Japanese flavours. I’ve been having a 63 degree eggs for the past few weeks now. There’s just something about that velvety, rich yolk that I can’t resist. Part of it reminds me of childhood and just how much of these 2 ingredients I devoured. Few weeks back I took a trip to Tokyo to work with a chef writing a cookbook for molecular gastronomy. I will always remember that perfect egg I had in Japan. The yolk was so rich it was a deep orange colour. It really blew me away. And I think because of that experience, I will always try to incorporate some Japanese influence on an egg dish…as well as bacon! 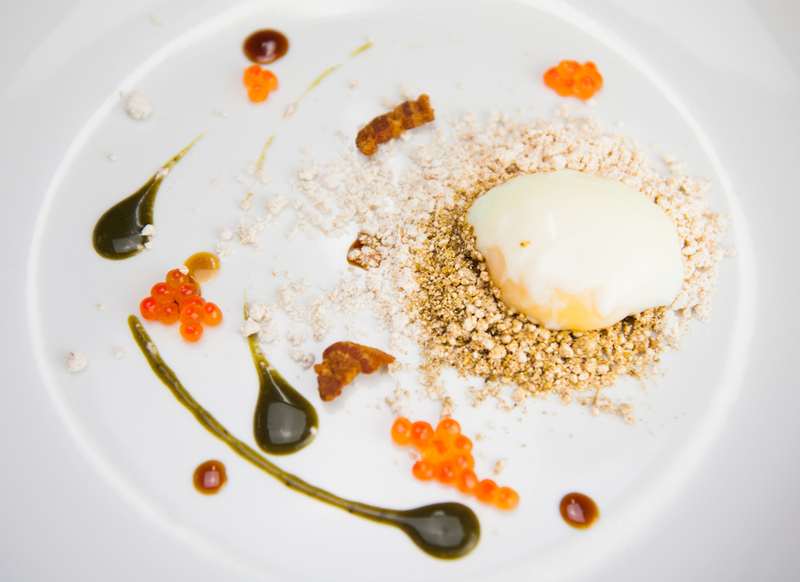 Here is a 63 Celsius egg, sweet ponzu soy, miso and wakame puree, ikkura, bacon “crumble”. The crumble was a trial. Alex Talbot from Ideas in Food mentioned to me that when people incorporate tapioca maltodextrin with fat, they don’t add anything else; just fat. He suggested adding fried bread crumbs. So I did. Once the fat was rendered, I fried some panko in the fat before cooling it and mixing with N-Zorbit. This was good!!! 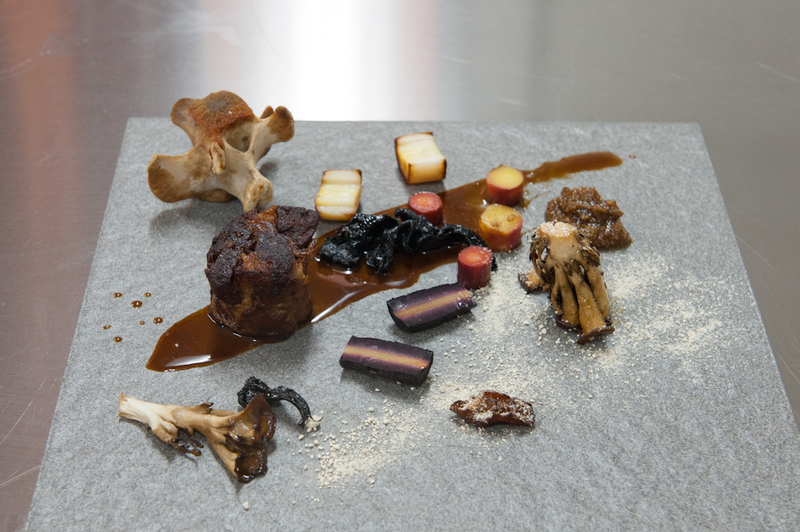 The crumbs add a very nice delicate crisp and definitely adds more textural depth to this component. It also masks the slight stickiness you get from tapioca maltodextrin. Thanks Alex! This dish still needs a lot of work though. There’s a bit of a competition between the bacon and the ikkura and as a result, confuses it’s identity. This dish will be revisited soon.